Welcome to the Sia Lab at Columbia University. Our lab focuses on using microfluidics for two different applications. Our lab uses the powerful techniques of microfluidics to build low-cost, integrated devices for performing sophisticated medical tests. This work integrates biology, chemistry, engineering, consumer electronics, data communication, clinical medicine, public health, and health economics. Our goal is to deploy these devices in field settings to improve global health and consumer health and wellness. We are developing methods for precisely controlling cellular microenvironments, including microvascular growth. Our group is working with clinicians to develop new treatment modalities based on cell therapy and implantable devices. 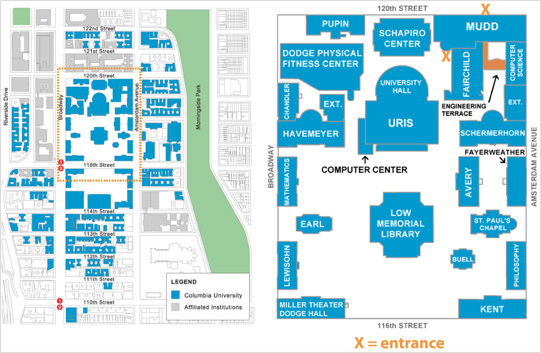 CEO and Co-Founder at Kinnos Inc.
Biomedical Engineer at Suneris, Inc.
We are located in Mudd Building, Engineering Terrace, in the Morningside Campus (map and directions to Morningside Campus). The 120th street entrance (1st floor of building) is accessible from 8 am to 6 pm Monday to Friday. The campus entrance is usually open, and is accessible from the campus level (4th floor of building).